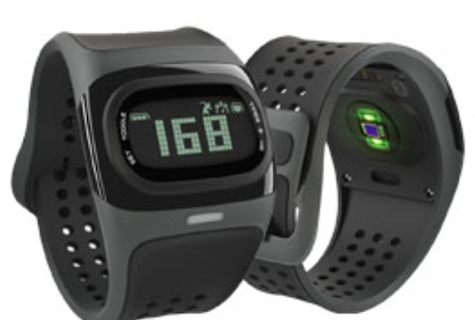 Mio’s ALPHA is a stylish, rugged, easy to use fitness watch that is as versatile as it is light weight. Within seconds of opening its carton you will be charging its battery via the dedicated, custom USB cable, and within hours you will be using this attractive watch to its optimum capability. An insufficient written manual is included. The full manual is online as a PDF. If you have never before used a fitness watch you may be confused by the terms and features described, plus the device itself. One helpful phone call to the toll free USA phone number will have you fully acquainted with Alpha’s modes of operation. Email and web support are available. ALPHA provides two basic statistics: heart rate and workout timing. That’s it, in addition to a digital clock. Users can monitor or record this information as desired, including synched Bluetooth iOS app record keeping (not tested). My personal goal was to use ALPHA to time my recreational lap swims. I am extremely pleased with its comfort, fit, and readability in the swimming pool. Important: Do not switch modes while swimming. Decide in advance if you prefer time of day, heart rate, or timer mode. ALPHA’s small side panel toggle buttons are not designed to be pressed while submerged. There are much longer reviews of this stellar sport watch elsewhere on the Internet. Most purchasers and reviewers are more concerned with detailed data than I am, especially for running and biking. I will use the excellent Mio ALPHA Heart Rate Sport Watch to keep track of my hiking and swimming fitness, and I recommend it. This all black, compact, one piece music station is a beautiful addition to a stylish purchaser’s home, office, or studio. 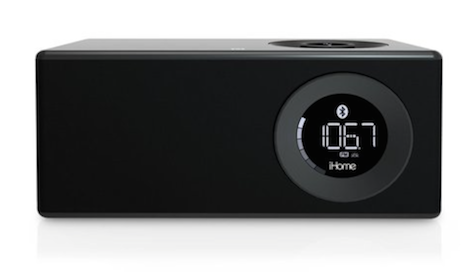 iBN10 is easy to use with an Apple device in three different modes: Bluetooth wireless audio, FM radio, and AUX connected cable external audio. Top deck controls are straightforward, and audio performance is good. A rear USB charging port is a bonus, as are an automatic Daylight Savings Time switch and a speakerphone. The front facing digital clock can be seen two rooms away. Bluetooth pairing is quick and efficient. Turn the front volume knob up to a maximum of 40 and fill a room with sound. Native equalization lacks bass, and delivers best performance in the midrange and treble regions. Watch the brief video on the company’s product page from the link above. Pictures are insufficient to demonstrate how attractive is this unit. What it lacks in volume and full spectrum sound it surpasses in looks. I have used our iBN10 evaluation unit every day for a month. Visitors to my office are impressed. It is not an audiophile speaker, but it is a gorgeous and versatile music station that will turn heads. Our iHome representative reminds us that: iBN10 also has NFC. People who do have NFC devices can connect to Bluetooth seamlessly that way too.